There are two versions of Chromium Embedded Framework: CEF 1 and CEF 3. Development of CEF 2 was abandoned after the appearance of the Chromium Content API. CEF 1 is a single-process implementation based on the Chromium WebKit API. It is no longer actively developed or supported. I will therefore focus on the Lazarus version. 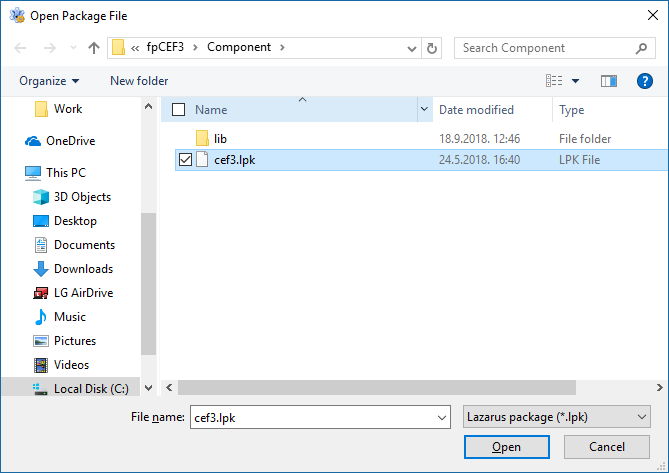 In fact, there are two different versions of components, called fpCEF3 and CEF4Delphi. CEF4Delphi is an open source project created by Salvador Díaz Fau to embed Chromium-based browsers in applications made with Delphi or Lazarus/FPC and is based on DCEF3, made by Henri Gourvest. The current version of CEF4Delphi uses CEF 3.3497.1829.g004ef91 which includes Chromium 69.0.3497.81. CEF4Delphi is being more developed than fpCEF3 lately, and is up-to-date with the chromium engine. Both projects are hosted on github, respectively: https://github.com/dliw/fpCEF3, https://github.com/salvadordf/CEF4Delphi. 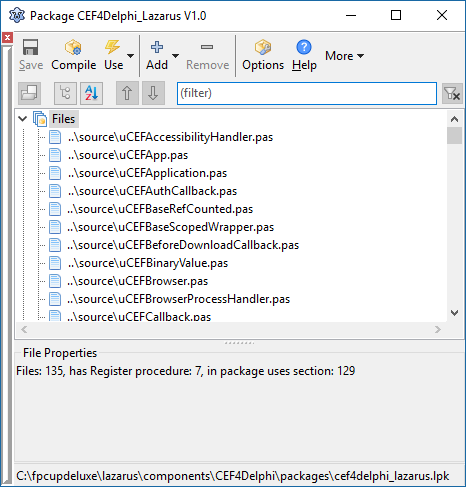 Besides the Lazarus package, the CEF framework itself is needed. It is important to use the correct version of the CEF framework for the fpCEF release used. Further specific installation instructions can be found on Github: https://github.com/dliw/fpCEF3. Warning: You can install fpCEF3 or CEF4Delphi, not both, since the component is named Chromium, the same in both packages. However, you can modify it and make a non-standard install. 1. First of all, we need to download fpCEF3. You can download the latest version from https://github.com/dliw/fpCEF3. 2. 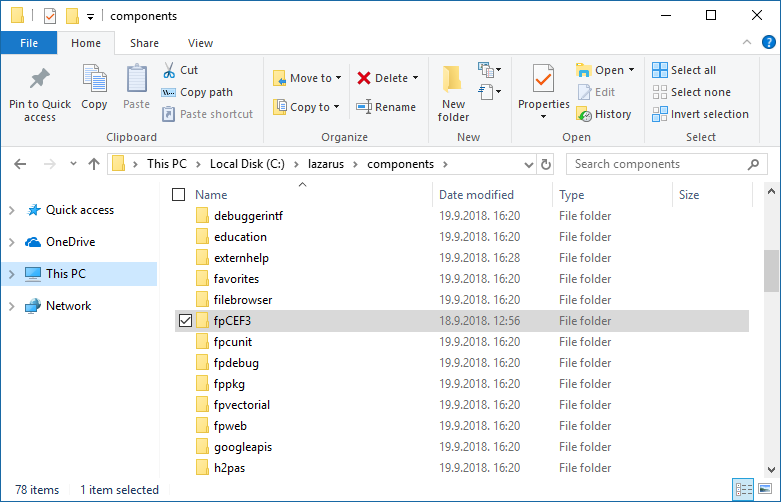 Extract & Copy the folder to the Components directory inside your Lazarus installation (this is usually C:\Lazarus\Components). Be sure to check the version number or commit messages to look for the appropriate version of CEF to be downloaded for it to work. 1. Download CEF. 2. Download & Install 7-zip. You'll need 7-zip to extract the file above. 3. Now extract the file and keep it that way. We'll only need the Release" & "Resources folders from this archive. Now let’s create a web browser even quicker than you can install one! All using the people's favorite chromium engine! The previous steps were just preparations -- which you'll only have to do once. Save the Project (File -> Save All) in a directory. 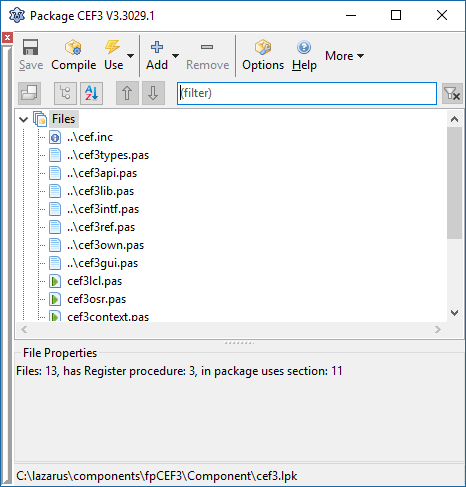 And then copy all the files inside the Release and Resources folders from CEF package, and paste it directly into the project directory. Now we'll have a nice Location bar/Address bar at the top. It will fit the Chromium component nicely in the form's blank area. All done! In about 2 minutes! 4           processes to use up to 3GB of RAM. In the main unit, add Windows, uCEFChromium, uCEFWindowParent, uCEFInterfaces, uCEFConstants to uses list. 3   NotifyMoveOrResizeStarted or some page elements will be misaligned. // Now the browser is fully initialized we can send a message to the main form to load the initial web page. // You *MUST* call CreateBrowser to create and initialize the browser. // initialized and ready to receive commands. // If it's not initialized yet, we use a simple timer to create the browser later. Now Run the project (F9 or Run -> Run). Click the "Go" button.